Half the size, twice as bright. Our reflective fitness multi-cool was engineered for a sleek fitted look and to keep you visible at night. With multiple ways to use you can wear it your way. Wet, wring and snap to activate the Enduracool instant cooling technology to create a prolonged cooling effect keeping you cool and comfortable so you can go harder longer. Elastic band in the lining for a secure, lockdown fit. 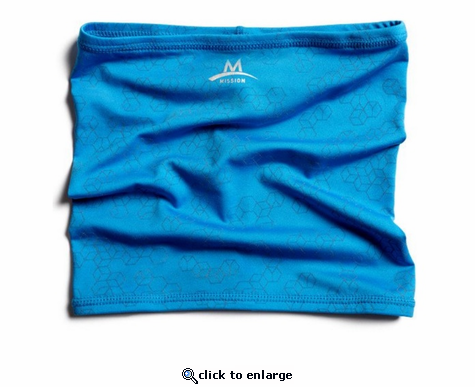 Mission EnduraCool Instant Cooling Classic Headband - 2.5"